It's amazing how Marvel was able to take brilliant source material like Do Androids Dream of Electric Sheep? 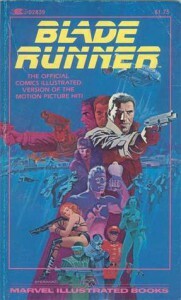 and Blade Runner and produce such a remarkably lame illustrated "novel". The art, the writing...just astonishingly bad. Do yourself a favor and go to the originals, not this churned-out piece of garbage.